Instant, high resolution photo sharing lets you share your entire weekend at once in a photo carousel. Wish you could take back that message or photo? Tap “Unsend” to remove it from the conversation. Why limit your reaction to an emoji? Express yourself with animated GIFs. Start one-on-one conversations or create group chats simply using your contacts. Show some love with a "Like"
It’s easier than ever to respond to messages and photos with a simple “like”. 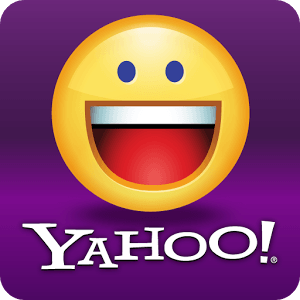 Sign in to Yahoo Mail and check to see if the new Yahoo Messenger is available in your inbox. If it’s not now, it will be shortly. Enhanced photo sharing - Now you can share lots of high-resolution photos at once, and swipe to view them in a photo carousel. Unsend - Regret something? Simply tap it and select "Unsend" to remove it from the conversation. Likes - Tap on a message or photo to let the sender know you like it. Animated GIFs - Express yourself with animated GIFs from Tumblr (available on Android, iOS and web). Offline and low connectivity mode - Anything you share will be posted once you're back online.